It can be easy to explore the neck up. Join this 4-week group to go deeper by exploring and working on body image from the neck down. This is weekly group is for women (18+) who are looking for community, support and a safe space to work through these struggles. Group will meet for 1.5 hours each week on Tuesdays in February from 5:30-7pm. Space is limited and REGISTRATION CLOSES ON 1/22/19! What Are Mental Health Support Groups? In facilitated support groups, the group is created from survivors of different events. Group members in this setting share their personal experiences and can provide support to others going through the same life struggles. A facilitator in this setting helps direct the group and encourages the group members to lean on each other for support and encouragement. At this time, I am looking at the needs of my community and will be organizing an upcoming support group to fit those needs. 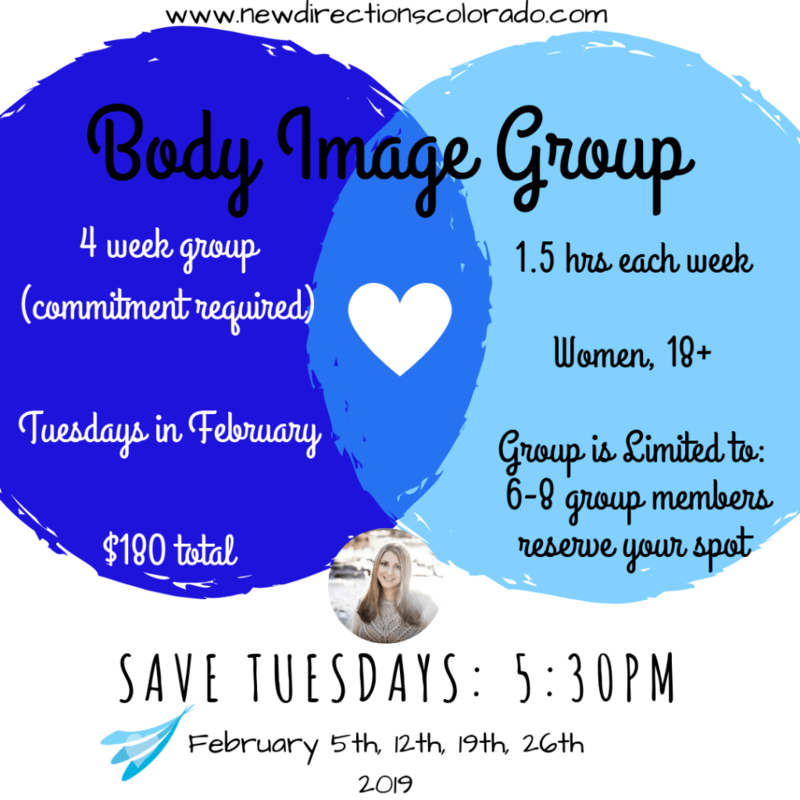 If you are interested in finding out more or have a specific request for a support group (eating disorders, body image, compulsive exercise, trauma survivors, etc. ), please reach out to me directly at 720-306-1631.